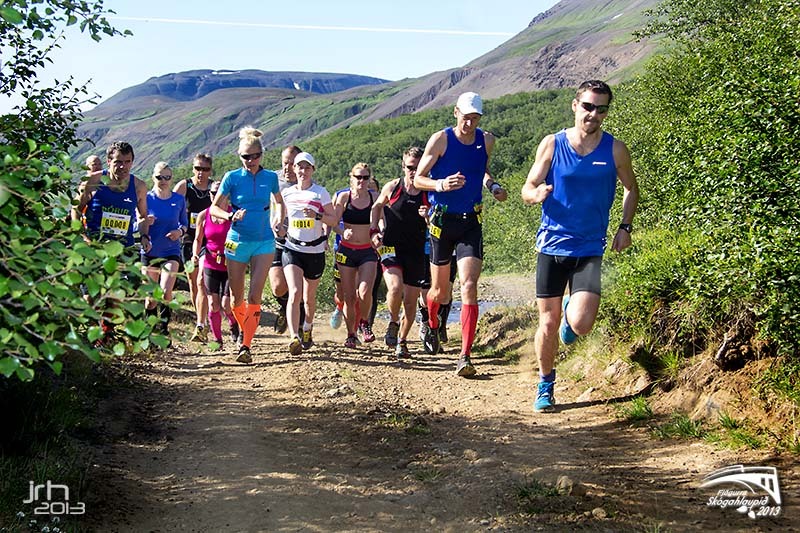 The Four Forests Run (FFR) in the not-so-easy to pronounce Fnjóskadalur is one of our favorite trail races. Only half an hour’s drive from Akureyri in north Iceland, it is a must-run if you are staying in Akureyri. It may not have the dramatic beauty of the Laugavegur Ultra or the Dettifoss Trail Run (Jökulsárhlaup), but the FFR is very scenic in it’s own way. Running through 4 forests (actually 1-4 depending on your distance of choice) is unusual enough in Iceland but there are also rivers, hills and some very, very good trails. And the weather is more likely to be nice than in most other Icelandic races. But most of all it is a really cozy and friendly race. See our earlier post about the FFR. 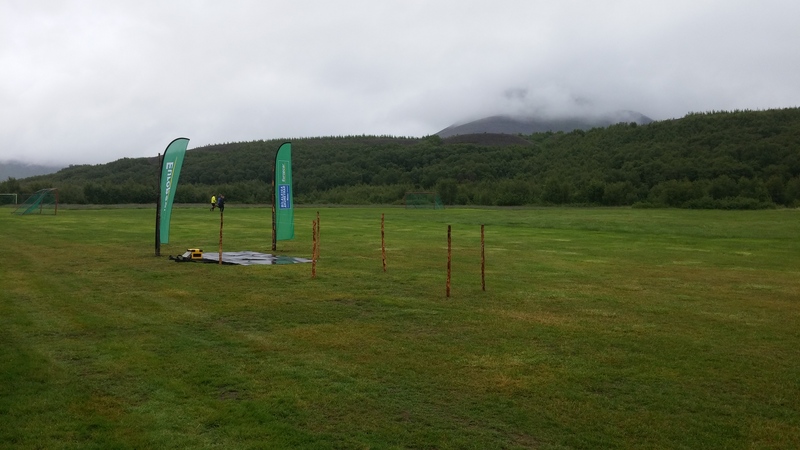 This year, we arrived early at the sports field in Bjarmavellir, where the race finishes. From there we were driven to the start of our race.in a big Rescue Team Truck. Despite previous comments about the weather, this year the temperature was about 10 degrees colder than the year before! But we still had a wonderful time running through the woods, meeting and chatting to extra friendly runners and staff. The FFR was chosen the best trail race in 2014 by Icelandic runners. Hi! Is registration open yet for the 2016 four forest run? Thanks! Hi Jennifer! We don´t expect registration to open until a couple of weeks before the race. It is very unlikely that the race will sell out, that has never happened. You can contact us again closer to the race and we will assist you, or keep an eye on this page http://hlaup.is/listbullets_date_adv.asp?cat_id=52 where the race registration will possibly be. I am interested in running the four forest run this year, 2017. I am wondering how I would register for this. Any information would be greatly appreciated. Is there any information on 2018 registration and also information about the run; run profile with elevation gain etc. It is in the north of Iceland, not too far from Akureyri(30-40km). Bjarmavellir does not seem to be on Gogole Maps, but it is a camping site just by ring road 1. You can find it by following the main road (ring road) from Akureyri and look for the road nr 833 (to Illugastaðir and Vaglaskogur) – the campsite is near the intersection and near a bridge over Fnjóska River. at the same place. We don’t have an elevation chart, if I remember correctly it is a little bit hilly but not at all a mountain race.